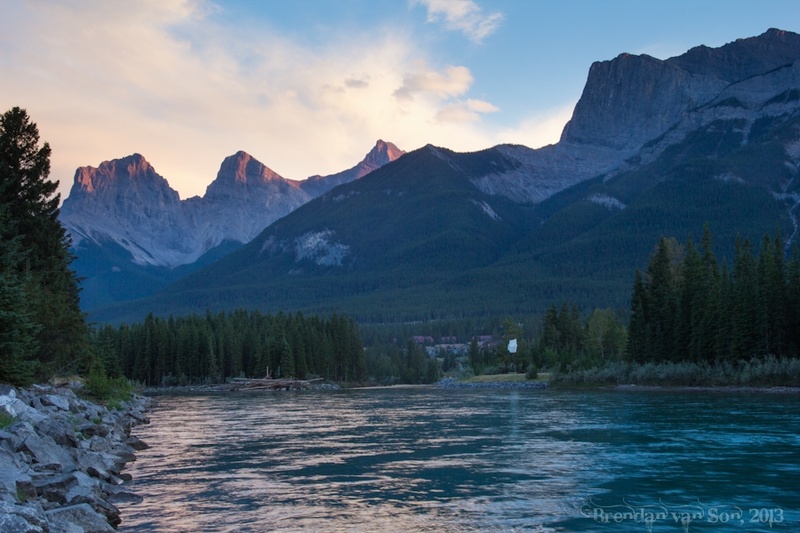 I spent lots of time in Canmore as a young lad. My grandparent’s lived out there for years, and visiting was always a highlight. Since then, Canmore has changed quite a bit. The highway leading into town is now coated in hotels, condos have seemed to spring out of nowhere, and loads of restaurants and gift shops speckle main street. 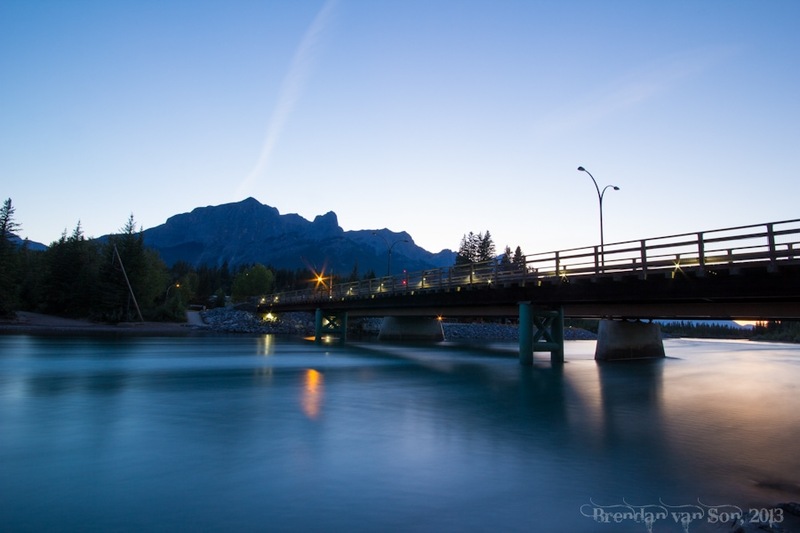 Still, I’m always very impressed when I come into Canmore, Canada I love how it still manages to feel local despite the fact that so many tourists are here in the area. The town, however, does somehow seem to attract the same type of people that live there. 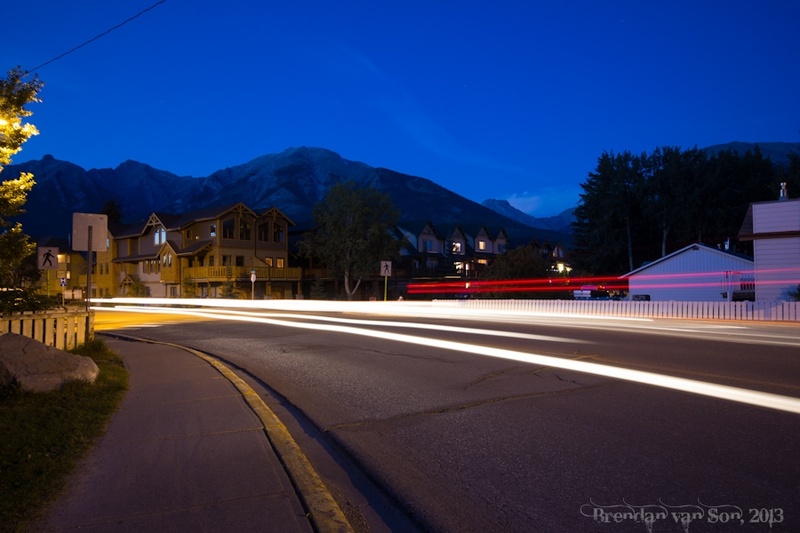 At every café, restaurant, or shop, the people around you feel like locals from Canmore, and with a busy tourist town right next door like Banff, that’s a pretty cool feeling. 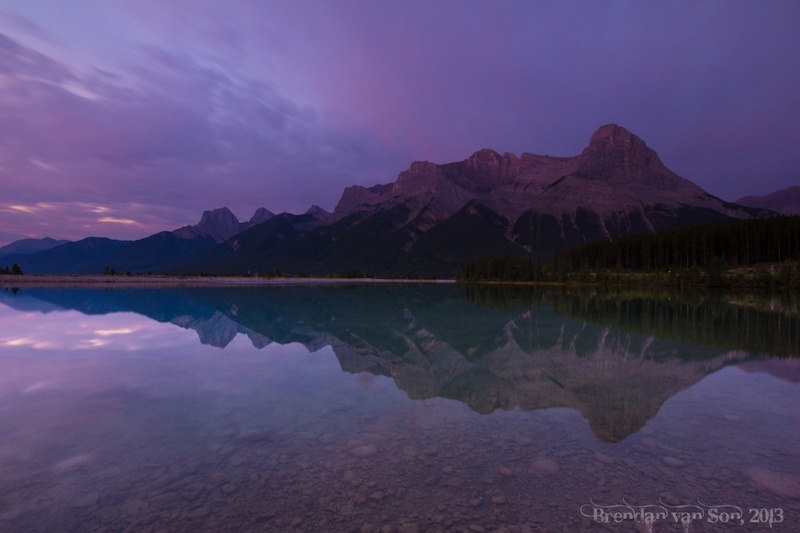 Anyways, I was in Canmore for a couple days, so I went out shooting quite a bit. One morning I headed out to Gap Lake, the next up to the Nordic Center area, then I shot an evening down on the Bow River. These are the results. 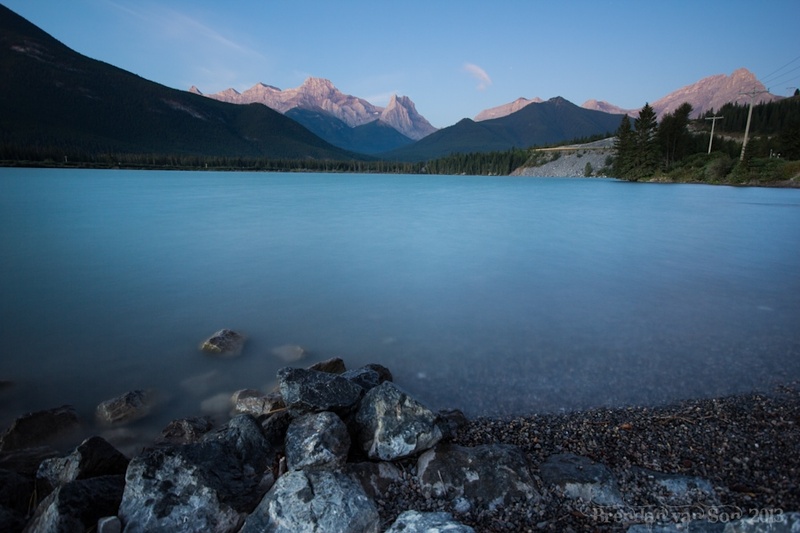 This morning I drove out to a place call Gap Lake which is along the old Highway 1a outside of Canmore. The sky was pretty dull, but the beautiful water still helped create a stunning image! After Gap Lake, I went up and waiting on a corner for some morning commuters. I love blending nature and man into my images. I’m fairly sure half the cars thought I was a cop with a speed gun, but I like to think of it as doing my bit for the law, haha. 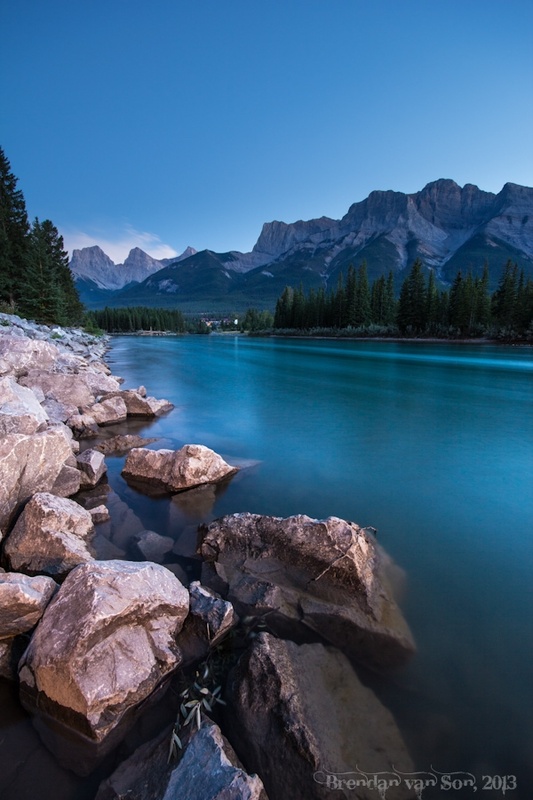 This is the Bow River which flows through a huge chunk of Banff National Park. 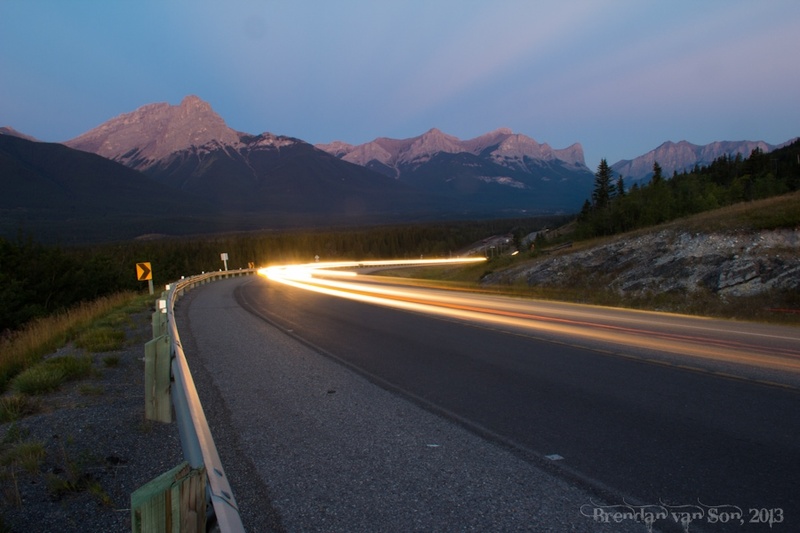 It cuts through Canmore, and it one of the best places to watch the sun go down. The bridge over the Bow River. Light reflecting up by the Canmore Nordic Center.